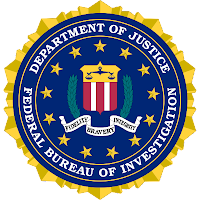 According to Newsday, the number of fraud cases that have erupted in the United States is putting a strain on the Federal Bureau of Investigation (FBI). As the American economy declines, more individuals, looking for a way to make a quick dollar turn to fraud. Newsday reports, that February 12th's Senate Judiciary Committee hearing focused on whether there should be beefed-up enforcement to cope with the economic decline. Do you think more money should be placed into the FBI to beef up forces during this rise in fraud?